A parliamentary report of 1776 recorded workhouses in use at Ecclesall Bierlow (with accommodation for up to 45 inmates), Nether Hallam (20), Dore (60), and Norton (16). 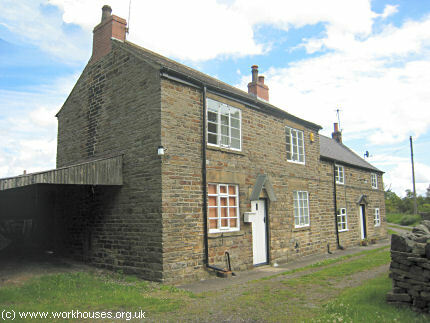 The Ecclesall Bierlow workhouse was on Psalter Lane at Sharrow Moor which could accommodate sixty to eighty inmates. The Nether Hallam workhouse was situated at Crookesmoor, at the east end of Roebuck Road where the Vestry Hall now stands. Nether Hallam workhouse site at Crookesmoor, 1855. 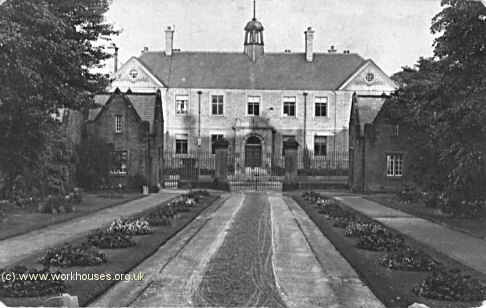 A row of cottages dating from the 1720s on Workhouse Green at Fulwood was a local workhouse for many years. County of York — West Riding: Ecclesall Bierlow (4), Nether Hallam (2), Upper Hallam. County of Derby: Beauchief, Dore, Norton (2), Totley. The population falling within the Union at the 1831 census had been 22,685 with townships ranging in size from Beauchief (population 88) to Ecclesall Bierlow (14,279). The average annual poor-rate expenditure for the period 1834-6 had been £4,273 or 3s.9d. per head of the population. Initially the Union continued to use the old workhouse on Psalter Lane. However, this building could not easily be enlarged and the Guardians decided to erect a new workhouse. Ecclesall Bierlow workhouse site, 1887. Entrance to the site was from the east on Cherry Tree Lane (later Union Road). A porter's lodge and the original school block fronted on to the road. Ecclesall Bierlow entrance from the south, c.1905. 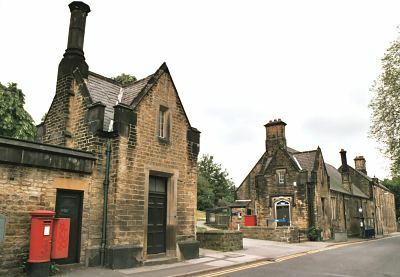 Ecclesall Bierlow entrance lodge and school (right) from the south, 2001. The main block was E-shaped with its entrance at the east. Ecclesall Bierlow main building entrance from the east, 2001. Ecclesall Bierlow rear of main building from the north-west, 2001. The original workhouse infirmary lay directly to the south of the main building. 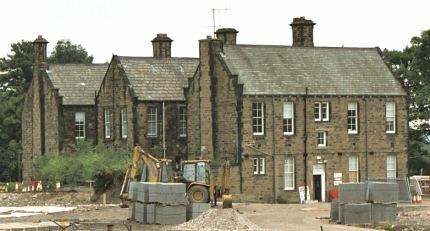 Ecclesall Bierlow workhouse infirmary from the north-east, 2001. In 1859, an asylum block was built to the north-west of the main building. 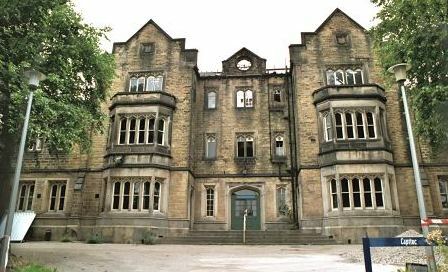 Ecclesall Bierlow asylum block from the south-west, 2001. Vagrants' wards were erected along Osborne Road at the north of the site. Ecclesall Bierlow vagrants' wards from the north-west, 2001. A building opposite the lodge on Union Road housed the Union offices. It later became used as a school. Ecclesall Bierlow Union offices from the workhouse steps, early 1900s. Ecclesall Bierlow Union offices from the west, 2001. Ecclesall Bierlow workhouse site, 1923. Ecclesall Bierlow main building from the south, early 1900s. A detail from the above picture show the official times for visiting inmates — Sundays from 3 to 4pm, and Mondays 4 to 5pm on alternate weeks. 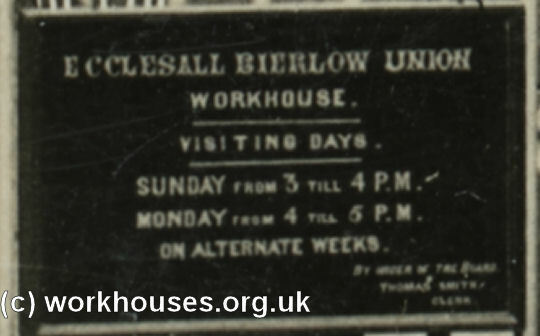 Ecclesall Bierlow workhouse visiting hours, early 1900s. An insight into life at the Ecclesall workhouse is provided in a report in August 1896 by Mr Rutherfourd John Pye-Smith, Emeritus Professor of Surgery at Sheffield University, and Consultant at the Royal Hospital. In the course of an investigation of the workhouse system, he visited the establishment and his account of what he found was sent to the Editor of the Sheffield Daily Telegraph. His lengthy report can be viewed on a separate page. 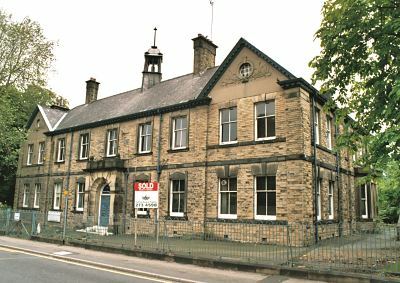 From 1904, to protect them from disadvantage in later life, the birth certificates for those born in the workhouse gave its address just as 32 Union Road, Ecclesall. In 1925, the Ecclesall Bierlow union was absorbed by the neighbouring Sheffield Union, creating a single Poor Law authority to cover the whole of the city. 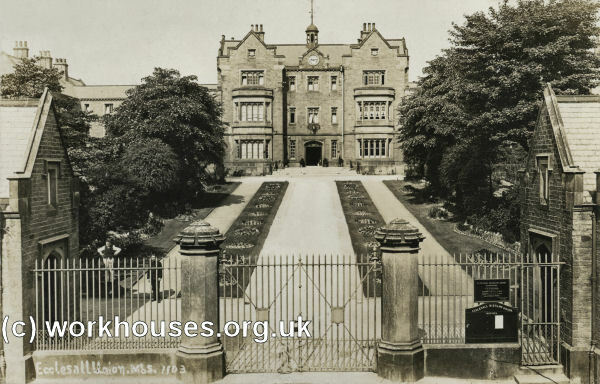 After 1929 the Ecclesall site was renamed Nether Edge Hospital. As well as general wards, it included tuberculosis sanitoria and a maternity hospital. In 1940, bombing destroyed several buildings including the dining hall and a nurses' home. 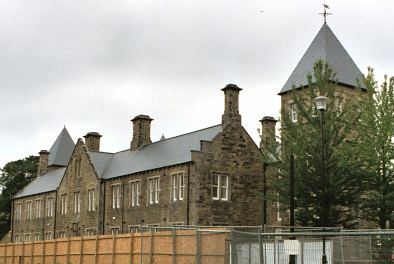 The hospital closed down in the 1990s and the site has now been redeveloped for residential use. In 1902, the union purchased a rural 22-acre site on Bole Hill Lane at Fulwood on which to erect a children's cottage homes development. The commemorative foundation stone for the scheme was laid on 9th October 1903 by the Chairman of the Guardians, William Aldam Milner, and the homes formally opened on 20 September 1905. Construction of the project appears to have continued until 1912, with an assembly hall, laundry and two children's cottages being completed in that year. The total cost of the scheme was £18,086. The architects were the intriguingly named Messrs. Holmes and Watson of Sheffield. The building contractors were Messrs. Wilkinson and Sons of Heeley. The children's homes were pairs of semi-detached houses, each half accommodating six boys and six girls together with a house-mother. The initial phase of the scheme provided places for 78 children, with the final total of 22 homes able to house 264. The houses were, as was often the case in large cottage home sites, placed around a central green. However, the homes on the Fulwood site were mostly arranged to face south, effectively laid out as two rows rather than forming a circle. The site layout is shown on the 1920 map below. The site entrance, at the west, had a small entrance lodge, now demolished. The driveway then led to the master's house which bears the foundation stone next to the window of what may have been the committee room. There were stables to the rear of the house. Fulwood cottage homes site, 1920. 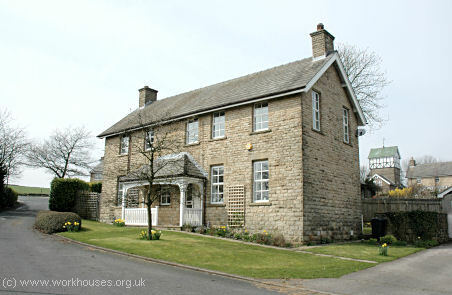 Fulwood cottage homes — Master's house from the south-west, 2006. A single house to the north of the Master's house contained store-rooms on the ground floor with the boys' tailoring and shoemaking training workshops above. A corresponding house for girls at the south of the Master's house contained sewing and knitting rooms on its upper floor where clothes and black stockings were produced. 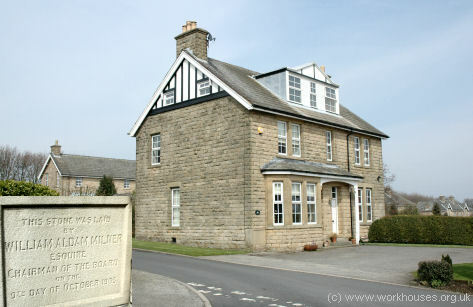 Fulwood cottage homes — girls' stores and training block, 2006. 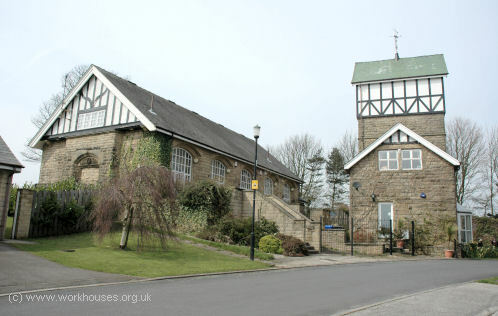 At the north-west corner of the site were a school and assembly hall, dated 1912, and a water tower which took its water from one of Sheffield's main supply conduits which passed nearby. At the foot of the tower were painting and carpentry workshops. 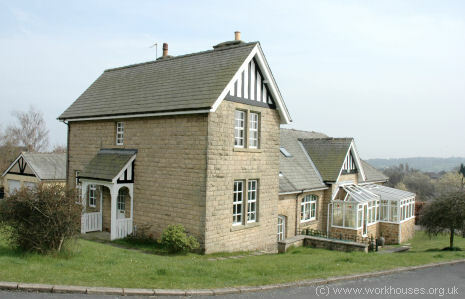 Fulwood cottage homes — school and water tower from the south-east, 2006. A single house at the south-west of the site had a single-storey block to the rear which housed the homes' laundry. Fulwood cottage homes — laundry block, 2006. The children's homes were of two slightly differing designs which alternated around the site. Each semi-detached house contained on its ground floor a large living room or kitchen, scullery, bathroom and lavatory, grocery larder, and clothes store. At the centre of the kitchen was a very large table around which 15 people could sit. The first floor contained separate boys' and girls' dormitories, each containing six single beds, and the house-mother's bedroom. Outside were single-storeyed outbuildings which probably included a play-shed, wash-house, and coal-store. Fulwood cottage homes — children's houses and central green from the south, 2006. Part of the green between the houses was cultivated by the boys to produce vegetables for the home. By the 1940s and 50s, children in the homes were taken on an annual holiday, often camping by the coast at Withernsea or Marsk. In later years, they ventured as far afield as Folkstone or the Isle of Man. Each child was given new clothes for their holiday — khaki shorts, shirt, sandals and a snake belt. There were swings and slides in the grounds, and sports days were held on the central grassed area. On May Day, a May Queen Festival would take place there. On Friday evenings, each child received a token from their house mother to exchange for sweets at the homes' stores. The homes had their own boys' brass band. After leaving the homes at the age of 15, some boys might gain entry into the armed forces. Others found jobs on local farms or became miners. Many of the girls went into domestic service in the Ranmoor and Fulwood districts where they were much sought after. The homes' first Superintendent stayed only for a year, but the three that followed (with their wives as Matrons) covered the whole of the homes' 55-year existence. They were Alfred and Mary Deacon (1906-26), Lionel and Freda Hindreth (1926-51), and Mr and Mrs Harry Brook (1951-60). 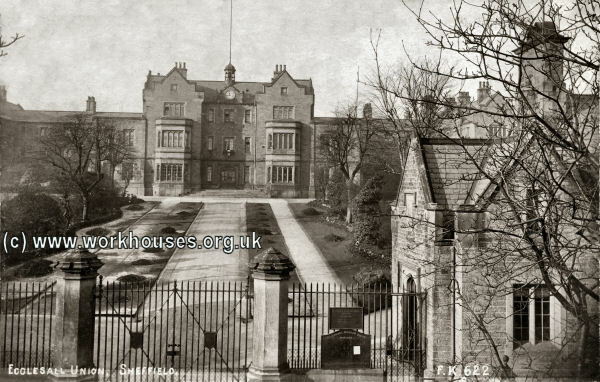 The homes closed in 1960 and the site was subsequently used as a girls' approved school under the name "Moorside". In the early 1980s, Vietnamese boat-people were housed in the buildings. In 1988, the site was converted to residential use with almost all of the original buildings surviving. Sheffield Archives, 52 Shoreham Street, Sheffield S1 4SP. Holdings comprise: Workhouse admission registers (1883-1928); Register of inmates (1904-31); Creed registers (1902-31); Births (1898-1929); Deaths (1903-31); etc.